Our beautiful and functional modular camp kitchens will blow you away! With modern designs and a long list of great features, they’re ideal for streamlined cooking and dining and make clean up a breeze. We use raked ceilings, the highest quality paint finishes and PVC edges on our cabinetwork - as standard. 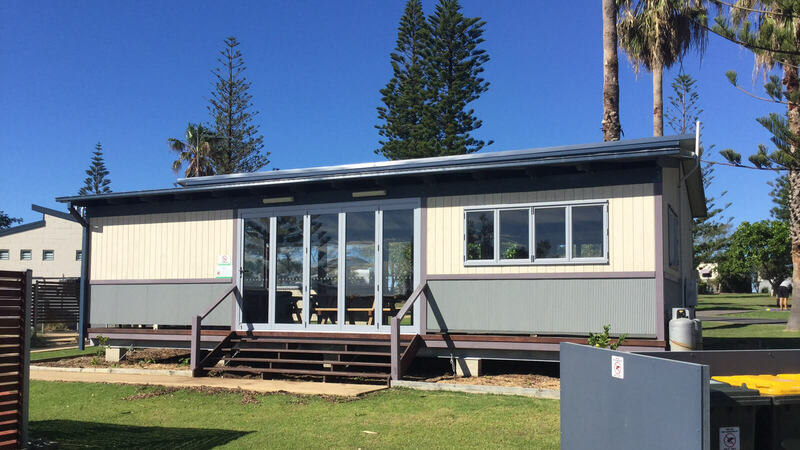 Our kitchens also boast quality fixtures and fittings, stainless steel benchtops, hardwood timber decking, an instantaneous hot water system, and more. 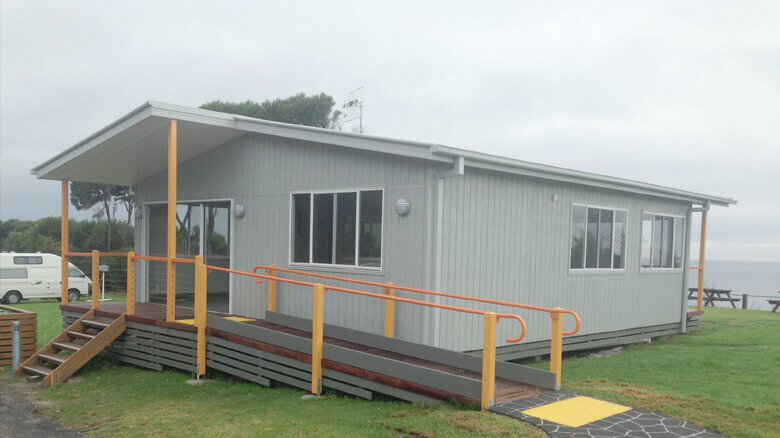 They can also be built to accommodate accessibility needs, and we can advise you on local council requirements. 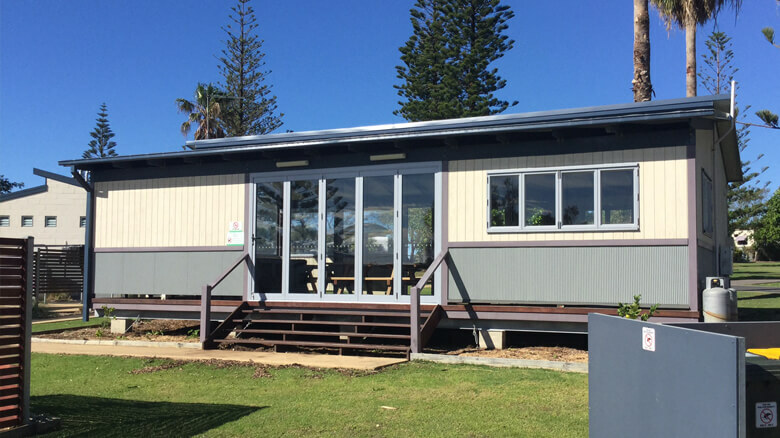 Our team will build your camp kitchen at our yard in Currumbin quickly and expertly, and then deliver it to your site with care and professionalism. They’re built tough to withstand Australian conditions and standards. Give us a call today and let our friendly and helpful team help you customise the perfect camp kitchen for your property. In addition to the manufacturing of Camp Kitchens, we can also advise you on council rules, energy efficiency and sustainable materials, just to name a few.